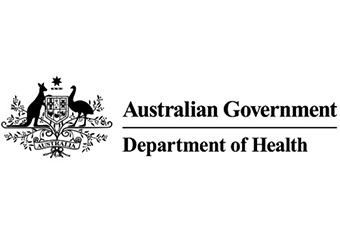 The Commonwealth Department of Health (Health) is consulting with the public on how data in the My Health Record system may be used in the future. Health has engaged HealthConsult Pty Ltd to undertake public consultations and develop a Framework which faithfully reflects their findings. Currently, data in the My Health Record system is not used for research, policy and planning purposes, although legislation is in place to enable it. Before My Health Record data can be used for secondary purposes, a Framework is required that reflects Australian expectations about how the health information held in the system should, or could, be used. In the future, secondary use of My Health Record system data is likely to provide important insights into the effectiveness and safety of medical treatments and clinical care across Australia. This will help to improve the quality, safety and efficiency of the Australian healthcare system. The release of the Consultation Paper marks the start of a consultation process for the Government to find out what Australians want the Framework to say. It gives people the opportunity to provide input about who should be able to access My Health Record data, for what purposes and what the oversight arrangements should be. The consultations will include the release of a public consultation paper, a call for written submissions, an online survey, a national public webinar, workshops and interviews conducted with stakeholders across each Australian state and territory, and telephone interviews with registered stakeholders. Consultation workshops are scheduled to take place around the country between 12 October and 15 November 2017. Go to myhealthrecorddata.healthconsult.com.au to register your interest, receive updates via email and access the relevant documents.